Light and good vision is natural for all of us. Reliable lighting solutions are particularly important in health care. One should be careful to select the right surgical light, do you have any basis for this judgment? 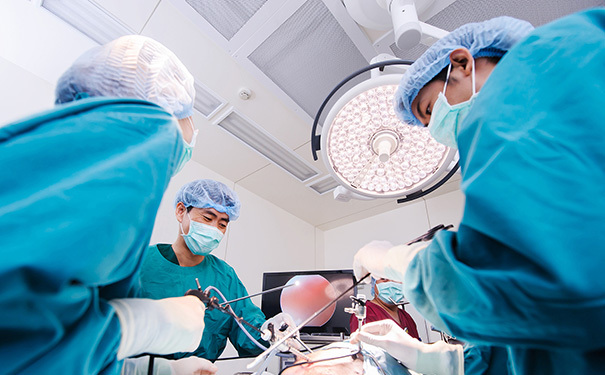 Properly lighting a surgical site is not nearly so simple as it may first appear. To see clearly and correctly, the light must be intense and uniform. It also needs to be as close to white as possible, so that the structures it illuminates show up in their true color. It should be adjustable to prevent glare. It should in effect be able to travel around obstacles like instruments and hands, so that shadows don't interfere with the procedure. And it needs to do all this without generating much heat, since this can desiccate tissue and make the surgery team uncomfortable. If you are in the market for new surgical lighting, you need to evaluate all these factors when making your decision. In this article, we will explain how and also discuss some of the new products you may wish to consider. Since tissues and organs absorb a great deal of light and also possess poor reflective qualities, lights need to output enough illumination to facilitate accurate perception. The physical unit of illuminance is known as the lux or foot-candle (there are 10.8 lux in one foot-candle). The Illuminating Engineering Society specifies that major OR surgical lights must produce a minimum lux of 100,000 (approximately 10,000 foot-candles) at a distance of one meter from the light source. Even the brightest light is insufficient if it cannot remove unwanted shadows from the surgical field. Shadows fall into two types: contour and contrast. Contour shadows are beneficial; they help the surgeon differentiate between fine tissue striations and vasculature. Contrast shadows, on the other hand, are a hindrance. These shadows result from obstructions cast by hands or instruments. Accordingly, you should look for a light that reduces contrast shadows while retaining enough contour shadows to provide surgeons with optimal perception. If a light's color temperature is too low (below 3,500Â° K), objects will take on a pink or a red hue. Likewise, if the color temperature is too high (in excess of 5,500Â° K), objects tend to have a blue tint. In order to perceive true color, your light needs to fall somewhere in between. Incidentally, there is another measurement scale designed to quantify color change. The color rendering index takes into account color temperature as it relates to other variables, including light intensity and the particular properties of the object viewed under a light, to gauge changes in color composition. The closer the numerical value on the color rendering index is to 100, the better. Lights that put out a lot of heat can cause tissue desiccation during prolonged procedures and make the patient and surgical team uncomfortable. The less heat, the better. If a light produces too large a field, the surgeon may get glare from the area around the surgical site. Too small a field may not be advantageous either, particularly if you need diffuse light so you can see the trays and other items. For these reasons, it's best to buy lights that allow you to adjust the light field size. The ideal light allows you to control field size while maintaining a constant intensity. 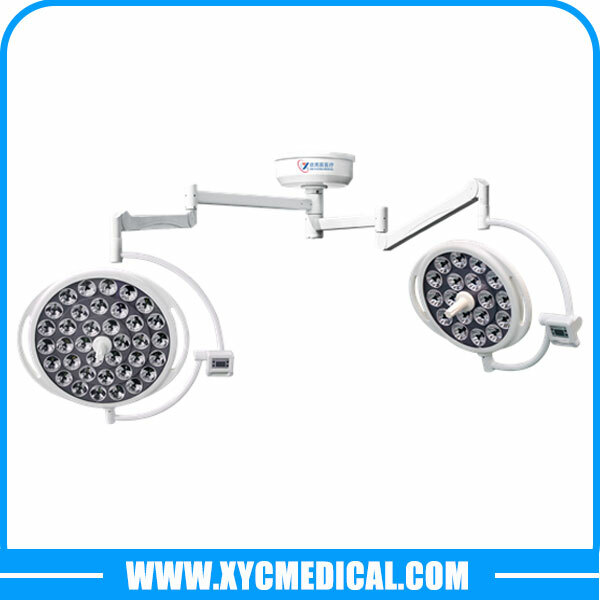 With these factors in mind, here's the reasons why you should choose XYC Series Surgical Light. 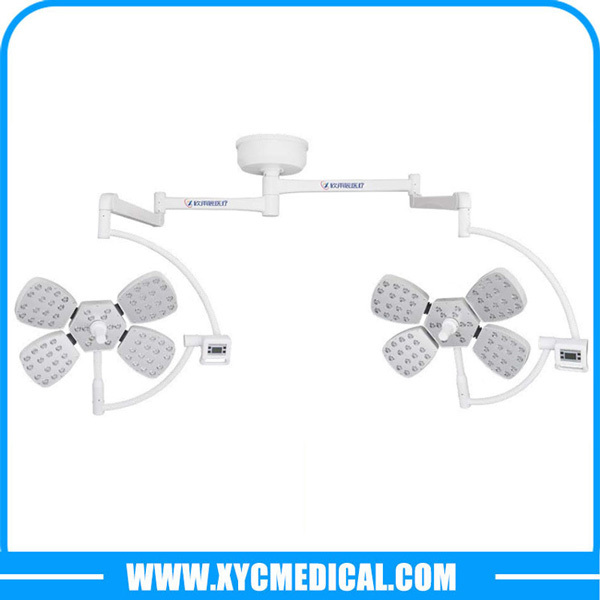 Shadows could be a thing of the past with the YC Series Surgical Lights from XYC Medical. These lights deliver 120,000 to 180,000 lux depending on the specific model. By combining proven reﬂector technology with the latest breakthroughs in LED technology, XYC surgical lights enhance the OR experience like never before. It's designed for superior shadow control, increased depth of field and light intensity. They have a CRI of 97 and an R9 greater than 90, allowing surgeons to easily differentiate between tissues. The 4500K color temperature provides a crisp white light, without the color-fringing or color-shifting properties of multicolor LED’s, providing natural color to ensure that the surgical field remains clearly illuminated. XYC's surgical lighting systems deliver cool, bright white light so the OR staff stays comfortable under the most demanding conditions. LEDs radiate much less heat than incandescent bulbs, so the surgeon and staff are more comfortable (important during long cases). And cooler light means less heat in the surgical field, reducing the risk of drying out exposed tissue. One of the most notable features of a high quality LED operating light is how white the color of the spot is. With maximum brightness and exceptional shadow resolution as the keys to success in surgical lighting, the XYC series surgical light provides a large column of light and superior illumination. This is achieved while providing pure white light that will remain cool under the most demanding conditions. 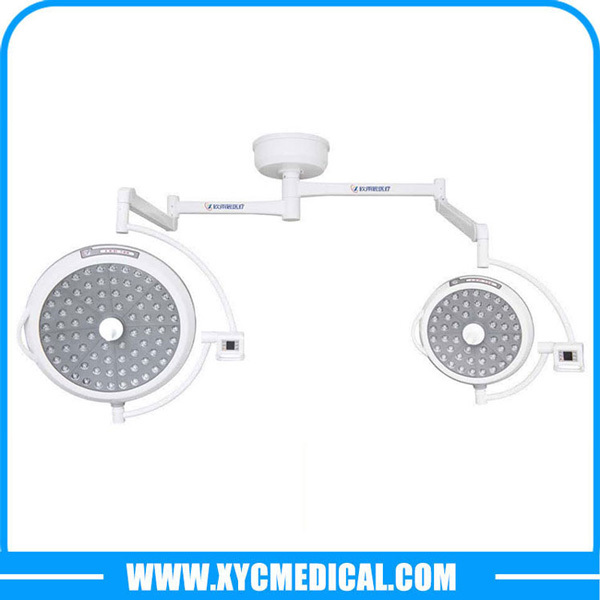 Using long-lasting LEDs and proprietary reflector design, XYC series surgical light offers world-class lighting for your OR. With maximum brightness and exceptional shadow resolution as the keys to success in surgical lighting, the XYC provides a large column of light and superior illumination. This is achieved while providing pure white light that will remain cool under the most demanding conditions.